The Institute for American Studies holds conferences to encourage international and interdisciplinary knowledge and networks in order to enrich scholarship and dialogue about the United States in its historical, contemporary, transatlantic, and global context. The conferences are thus international meeting places for discussion and debate among scholars, students, and the broader community about America’s place in the world, and about the complexity, challenges, and controversies connected to American society, culture, and politics. German-American relations broadly defined are increasingly influenced by developments in the Pacific space. For many in Germany and Europe “the rise of the Pacific“ portends a new situating of their place in the global commons that can involve their increasingly being “pushed to the periphery.“ The unfolding of the “Pacific Century“ reflects generally a multitude of exchanges and interactions that center importantly on the negotiation of concepts of difference and democracy or the opening of new spaces for the expression and practice of diversity. The place of the Pacific in the German and European imagination thus offers the potential to contextualize, complicate, and connect “provincial“ politics with global themes centering on difference, diversity, and democracy. This conference seeks to bring together diverse scholars and a variety of other voices exploring the meaning of the trans-pacific in the context of trans-atlantic interactions and transnational American Studies. The bridging theme will be dialogues on difference and democracy as explored in diverse forms of expression, including literature, culture, knowledge construction, politics, economics, and the narrating of history. By thus “globalizing“ the “Pacific Century“ thematically, we seek to encourage a transnational and transcultural exhange that will help enrich a global commons debating the nature and articulations of democracy and difference. 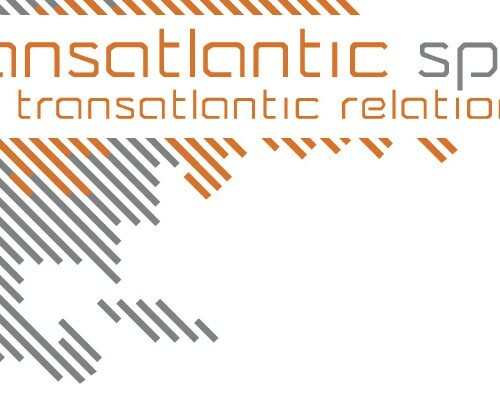 More specifically and in relation to American Studies, we seek to strengthen and broaden the exploration of trans-pacific themes among German and European scholars and other interested publics, as well as encourage theoretical discussions of transpacific studies in connection with transatlantic and hemispheric studies. While critics have envisioned both a “post-ethnic” and “post-racial” turn in the United States over the past two decades, it cannot be denied that ethnicity “sells”: Ethnic labels are an important economic factor, ethnic festivals experience a revival, and there is a growing market for ethnic difference and racialized commodities. At the same time, the character of ethnic identification is changing: Marilyn Halter in her study Shopping for Identity speaks of a “portable ethnicity” based on symbolic structures rather than on concrete cultural practices. The buying power of African Americans, Latinos, Asians, and Native Americans is increasing faster than that of white households, and demographers predict a population development that will make white Anglosaxons a minority by 2050, a trend often described as a “browning of America.” Ethnic and racial minorities utilize their diverse cultural backgrounds and historical experiences to preserve and express their respective and often distinct group identities through consumerism and specific commodities. identification and to the increased visibility of nonwhite Americans in the United States. The international Conference is organized by Prof. Dr. Gabriele Pisarz-Ramírez (American Studies, Leipzig University), Dr. Frank Usbeck (English and American Studies, Technical University Dresden), Anne Grob, MA (American Studies, Leipzig University), and Maria Zywietz (American Studies, Leipzig University). 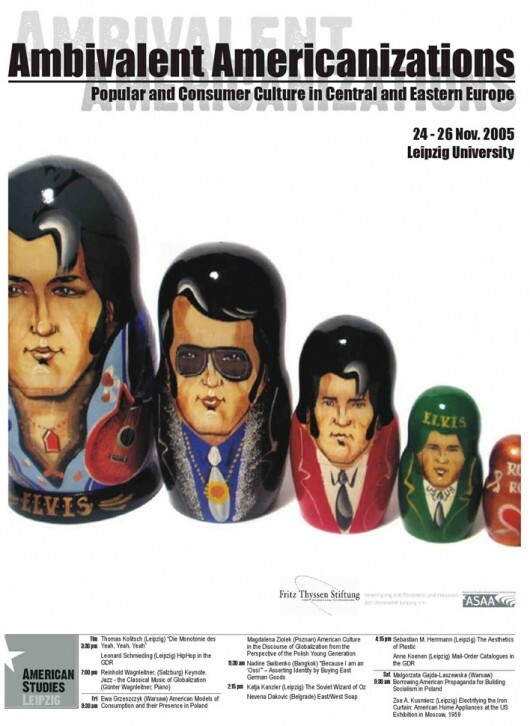 For more information about the conference program, venues, and speakers, please visit our hompage: http://americanstudies.uni-leipzig.de/selling-ethnicity. Contemporary American literature has rediscovered politics. As scholars who proclaim an end of postmodernism, a post-postmodern turn, maintain, literature around the turn of the millennium has broken with the 'narcissist' playfulness of postmodernism and demonstrates a rekindled interest in addressing issues of social concern, an interest that it pursues by literary strategies nonetheless deeply shaped by postmodern aesthetics. This 'political turn' in literature coincides with what we may call a 'poetic turn' in politics. Political (sub-)cultures show themselves increasingly conscious of their own textuality. The conference aims to interrogate the 'poetics of politics' at this crossroads of contemporary American literary and political cultures. It wants to shed light on the textual dynamics by which texts in and across the realms of literature, culture, and politics negotiate political issues and assert their own social relevance. This conference is part of the Dresden-Leipzig Research Initiative Selbst-Bewusste Erzählungen and is organized by Prof. Dr. Katja Kanzler (TU Dresden), Dr. Frank Usbeck (TU Dresden), Dr. Sebastian M. Herrmann (Leipzig), and Carolin Alice Hofmann (Leipzig). In the past two decades scholars in American literary and cultural studies have emphasized the necessity of transnational approaches to American history in order to overcome the residues of American Exceptionalism and to study American specificities in a comparative framework. One of the major results of this research has been a shift in perspective that has directed attention to the multiple connections the early United States had to other regions in the hemisphere. As has become visible, the formation and consolidation of national and collective identities in the early United States was not only impacted by the need to distinguish Americans from Europeans but also by its situatedness on the American continent. The internatioanl symposium is organized by Professor Dr. Gabriele Pisarz-Ramirez (American Studies Leipzig / Minority Studies, University of Leipzig) and Dr. Markus Heide (Department of English and American Studies / American Studies, Humboldt-Universität Berlin). On our homepage you find detailed information on the symposium's participants and their presentations, on travel recommendations and the conference locations, and on the program of our symposium (Please click here to read more). With the end of the global dichotomy imposed by the Cold War, European perceptions of the Atlantic as the formerly dominant frame of reference have lost their immediate necessity. Simultaneously, the United States as the defining Atlantic power have shifted their geopolitical attention to other areas of the world, which appear to hold greater potential for cooperation than an increasingly self-confident European Union critical of the United States' role as superpower. The traditional transatlantic alliance is revived on instances like 9/11, but its structural, ideological, and intellectual basis seems to have weakened. Please find more information, a conference report and audio files at the conference homepage www.ambivalent-americanizations.de.